Here’s another zinger about our misguided ideas of spiritual progress from our favorite late Lutheran Theologian, Gerhard Forde. For those that tend to get sucked into fruitless spiritual introspection (ahem, that would be me), let this be salve to your soul. This quote is from page 50 of Justification: A Matter of Death and Life. We see that the law simply cannot bring into being what it commands… The law says, ‘Thou shalt love!’ It is right; it is ‘holy, true, good’. Yet it can’t bring about what it demands. It might impel toward the works of the law, the motions of love, but in the end they will become irksome and will all too often lead to hate. If we go up to someone on the street, grab them by the lapels and say, ‘Look here, you’re supposed to love me!’ the person may drudgingly admit that we are right, but it won’t work. The results will likely be just the opposite from what our ‘law’ demands. Law is indeed right, but it simply cannot realize what it points to. So it works wrath. It can curse, but it can’t bless. In commanding love law can only point helplessly to that which it cannot produce. The simul iustus et peccator makes it impossible to talk of some sort of moral progress or perfection, and where every state is the platform for the next leap. If that were the case, justification as an imputed, unconditional gift would make little sense. The higher one gets, the less grace one would need, until at last one could get along without it altogether. Justification by faith would be something like a temporary loan to cover the debtor until the debt was actually paid, Then “good works” would be a matter of progressively paying off the debt, perhaps according to the popular slogan, “become what you are!” where all the stress is usually on the become (you had better, or else!). The simul makes all such schemes of progress impossible. The justification given is a total state, a complete, unconditional gift. From the point of view true sanctification is simply to “shut up and listen!” For there can be no more sanctification than where every knee bends and every mouth is silent before God, the only Holy One. And God is revered as the Holy One only where the sinner, the real sinner, stands still at the place where God enters the scene and speaks. 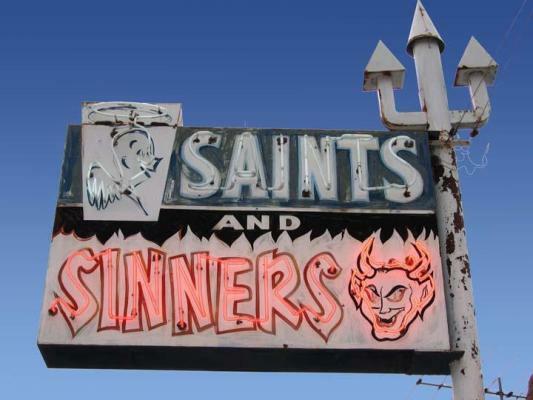 That is the place where the sinner must realize that his or her way is at an end. Only those who are so grasped that they stand still here and confess to sin and give God the glory, only they are “sanctified.” And there cannot be more sanctification than that! Whoever knows this knows that there is an end to the old, there is a death involved, and that being a Christian means ever and anew to be blasted by that divine lightning (for we always forget it) and to begin again. As Luther said, “pro ficere, hoc est semper a novo incipere.” (To achieve means always to begin again anew). 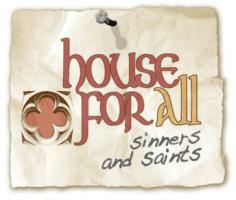 House For All Sinners and Saints is my church here in Denver. I love Forde Fridays! Self-introspection only leads to pride or despair, and both of those options stink. Only when I focus on Christ and what He has done can I be confident and humble at the same time. This is what shalom/peace/rest is all about. Thank you for Forde Fridays! Once again Mockingbird grants me the grace to live another day. Praise God!